To find a parallel line to a given line, you must know how to write an equation of a line. You must also know how to put the equation of a line in slope-intercept form. 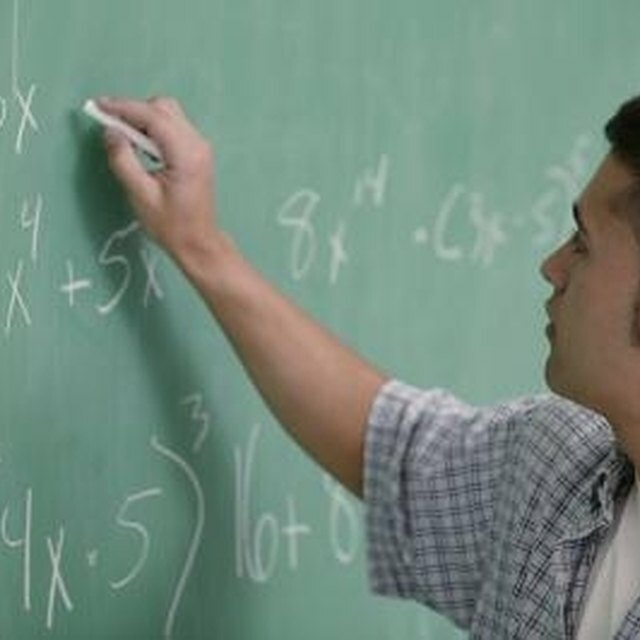 Additionally, you must know how to identify the slope and the Y-intercept in the equation of a line. It is important to remember that parallel lines have equal slopes. Learn how to be able to find a parallel line. Identify the slope. The slope is the "m" in “y = mx + b.” Therefore, the slope in “y = -3x + 8 (slope-intercept form of the given line),” is -3. Identify the y-intercept. The y-intercept is the b in “y = mx + b.” Therefore, the y-intercept in “y = -3x + 8 (slope-intercept form of the given line),” is 8. Sanders, Brenda. "How to Find a Parallel Line." Sciencing, https://sciencing.com/parallel-line-5124239.html. 24 April 2017.